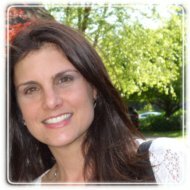 Farmington Hills Therapist: Laura Mindell - Therapist 48336. Session Fees: Contact for information on session fees and insurance coverage. Trusted Farmington Hills therapist Laura Mindell of Revitalize Counseling believes that as women we have the innate ability to live the fulfilled lives we desire. Laura understands how life experiences can impact us, and cause us to feel “off balance” in our relationships with ourselves and others. Laura's goal to provide an engaging counseling relationship that enables clients to reclaim their natural state of well-being and develop the tools to feel revitalized. She believes it is possible to heal, regain hope, and rekindle happiness even during the most challenging times. Laura is a Licensed Professional Counselor who embraces a holistic or whole body (mind/body/spirit) approach to counseling and wellness. She works in tandem with women in their journey toward becoming the persons they aspire to be. If you are looking for a compassionate guidance and support to begin a new direction in your life, Laura looks forward to partnering with you to achieve your goals. Please call or email her for an individual therapy consultation today. Laura Mindell MA LPC NCC received her training at the University of Michigan and Oakland University. She holds a Master’s Degree in Counseling (Oakland), and has continued her post-master’s education throughout her career. She is affiliated with the Michigan Mental Health Counselors Associations, Chi Sigma Iota Counseling Academic and Professional Honor Society, the American Counseling Association, and the Michigan Counseling Association. Laura has counseled individuals, families and couples. As a professional presenter, community service volunteer, and group facilitator she has partnered with those on a path to reclaim joy in their lives and reach their fullest potential.